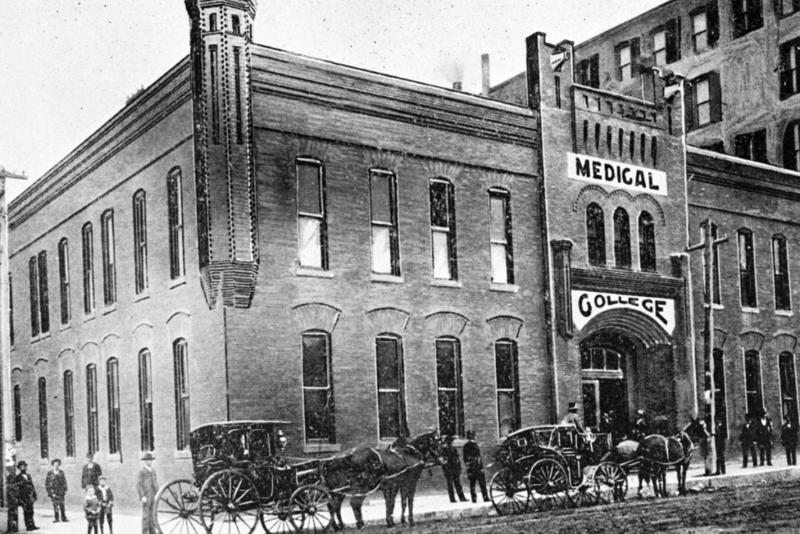 Fort Worth has a long history of allopathic medical education. When Texas Christian University (TCU) moved from Waco to Fort Worth in 1910, it took over the Fort Worth Medical College. While the Medical College stopped granting Doctor of Medicine (MD) degrees in 1917 due to problems with their endowment, TCU continued its pre-professional medical training through the College of Science and Engineering and the Harris College of Nursing and Health Sciences. Fort Worth also has a long history of osteopathic medical education. The Texas College of Osteopathic Medicine (TCOM) was founded in 1970 on the campus of the Fort Worth Osteopathic Hospital. In 1975, TCOM became a part of North Texas State University, now the University of North Texas, which effectively made the college a state medical school. It continues to grant Doctor of Osteopathic Medicine (DO) degrees to this day. In addition, the University of North Texas Health Science Center (UNTHSC) is home to the School of Public Health, the College of Pharmacy, the School of Health Professions, and the Graduate School of Biomedical Sciences. In 2015, TCU and UNTHSC announced the creation of a joint allopathic medical school, granting MD degrees. Sixty students will matriculate in the TCU and UNTHSC School of Medicine, located on the UNTHSC campus in the heart of the Cultural District, in the fall of 2019. Throughout their four years, the students will receive a cutting-edge medical education that, through innovative teaching models, will mold them into what the school is calling Empathetic Scholars™, ultimately leading them to become doctors who are compassionate, communicative advocates for their patients. How does a medical school create an Empathetic Scholar™? According to the school’s website, graduates “will be compassionate, empathetic and prepared to discover the latest knowledge in medical care… [they] are life-long learners and highly valued as physicians, colleagues, leaders and citizens in their community.” In a traditional medical school, the focus is on lectures and classwork. Students typically do not interact with patients until their third- and fourth-year clerkships. The sheer amount of clinical knowledge thrown at the students can create burnout, leading to a possible decrease in compassion. Bernas came to Fort Worth with Stuart Flynn, MD, the founding dean of the School of Medicine, from Arizona, where they built the new University of Arizona College of Medicine – Phoenix. After over 23 years with the University of Arizona as an Associate Vice President, she is excited to help create a new medical school in Fort Worth. To emphasize compassion and empathy along with clinical knowledge, the School of Medicine is taking a non-traditional approach to teaching. To start, there will only be 60 students per class. 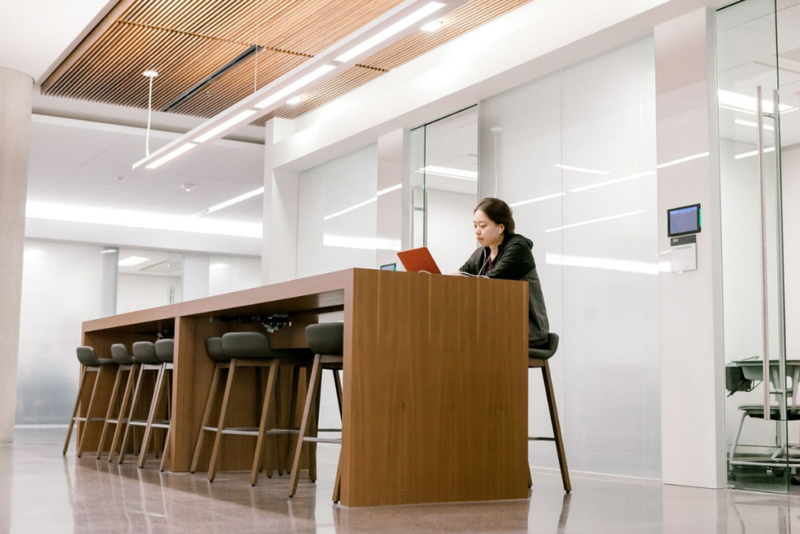 On average, medical schools have 100 to 120 students per class; the graduating class of 2022 at the University of Texas Southwestern Medical school has 230 students. Adults learn differently than children learn. Adults are self-directed, their lives have provided a reservoir of experience which is a resource for learning, and their motivation to learn is internal. Instead of two years of lectures and labs followed by two years of clerkship which do not consider adult learning theory, the School of Medicine has divided the curriculum into three phases. Phase I of the curriculum includes structured class room time and small group learning content. They will interact with patients, will explore and engage with high-tech simulation and technology including the latest augmented-reality applications and biophysics mathematical models, and will begin to learn how to work in interprofessional teams. In addition, students will choose their mentor and select a research project which will continue over the course of their four years, culminating in a thesis and poster presentation in their final semester. Phase II consists of clinical learning opportunities through the Longitudinal Integrated Clerkship. This allows the students to become an integral part of a health care team in both inpatient and outpatient settings. This model of clerkship is both patient- and learner-focused, allowing the students to maintain continuity with the patients throughout the course of treatment. Phase III is student-focused, allowing students to continue their clinical and scholarly development, while preparing them for the rigors of residency. In Phase III, students can explore various specialties with an eye to choosing their final field of expertise. The students will also complete their research projects, presenting their thesis in their final semester. Because medical school is designed to impart a large amount of knowledge in a compressed amount of time, the rate of burnout is high in medical students. “Medical students come in with a high level of empathy,” Bernas explains. “But by the third year [of traditional medical schools], it’s been beaten out of them.” Instead of focusing their care on the patient, many medical students focus solely on the symptoms and diagnosis. “They start to think about the patients as the disease organism,” Bernas says. To counter this burnout, the School of Medicine has instituted a novel coaching program that pairs students with a coach. The already-small class of 60 students will be further divided into groups of 10 with two coaches; these groups will walk together through all four years of their medical school education, giving support and creating a smaller community within the larger school community. Danika Franks is an emergency medicine physician who graduated from UT Southwestern before working in emergency departments throughout the DFW Metroplex. Franks took a year off to teach at a science magnet high school between her undergraduate studies and medical school. This year of teaching imparted a love of educating which led to her to her role as the School of Medicine’s Assistant Dean for Student Affairs. In traditional medical schools, students are assigned an advisor. The advisor counsels the student, giving answers and advise based on the advisor’s experience. “The advice is all external,” says Franks. The innovative coaching program used by the School of Medicine “recognizes that the coachee is a whole person and is fully capable of arriving at a solution to the problem” they face, instead of a child needing to be given an answer. To assist the students in arriving at solutions on their own terms, the School’s coaches are professionally trained. “The coach must be very aligned and aware and involved, “says Franks. “They must know how to ask the right questions to let the coachee come up the answers and plans that are correct for them.” All the coaches are physicians who work or have worked in the community, and while their experience will be a valuable resource for the students, their role is not to assess and answer. Their role is to advocate for the student throughout the student’s school career. The novel elements of education used at the School of Medicine – the Longitudinal Integrated Clerkship, the coaching initiative pairing students with a professionally-trained coach, and the emphasis on communication skills – are designed to create doctors who are prepared not to practice medicine now but what medicine is becoming. “We want our doctors to be prepared for what medicine will look like in 2026 or 2056,” says Judy Bernas. To further that preparation, the School of Medicine is partnering with all major medical centers in Fort Worth including Baylor Scott & White, Cook Children’s, JPS Health Network, and Texas Health, as well as the Dallas VA Medical Center and Methodist Dallas Medical Center. Through these partnerships, students will be exposed to a full range of medical specialties and will work in the community. School of Medicine students will work with neighborhood organizations, businesses, and local government to help in joint ventures aimed at critical health care needs in our city. They will volunteer in clinics for the homeless. They will participate in programs working with students in Fort Worth ISD. In 2017, 27 eighth-grade students from all over Fort Worth ISD participated in Junior Medical School. This week-long program gave these children a glimpse of what medical school is like, exposing them to opportunities that might not otherwise be available to them. With two medical schools in the city, Fort Worth is doubly fortunate. Remember the Texas School of Osteopathic Medicine? 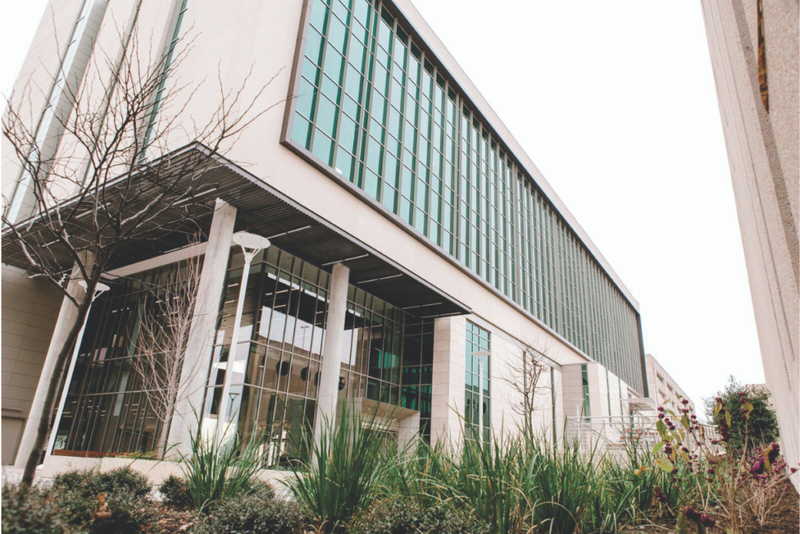 It continues to flourish at the UNT Health Science Center. 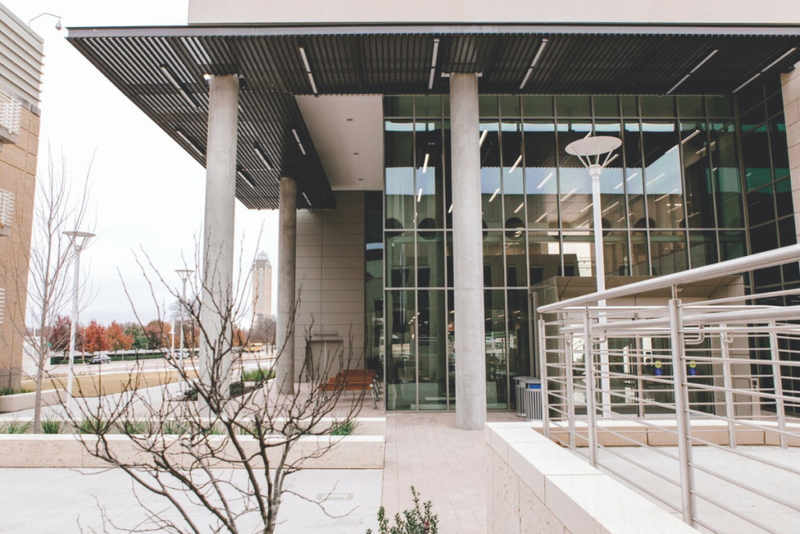 In fact, the new School of Medicine shares a campus with TCOM on historic Camp Bowie Boulevard, overlooking the Kimbell, the Amon Carter, the Modern, and the Will Rogers Coliseum. “We see this as a valuable partnership,” says Bernas. “We are not taking away anything from TCOM; this partnership is beneficial to both of us.” The partnership between the two schools will help to break down lingering remnants of the traditional divisions between Doctors of Medicine and Doctors of Osteopathic Medicine. In addition to TCOM, UNTHSC’s School of Health Professions and the UNT System’s College of Pharmacy, along with TCU’s Harris College of Nursing and Health Sciences, offer the School of Medicine students an opportunity to work with other medical professionals. Treating a patient is not a solo accomplishment of the doctor. A doctor is a member of a health care team that is comprised of nurses, therapists, and assistants. In working with students from these programs, the School of Medicine ensures that their students are prepared for the changing environment of medicine in the 21st century. In the United States and Canada, allopathic medical educational programs are accredited by the Liaison Committee on Medical Education (LCME). 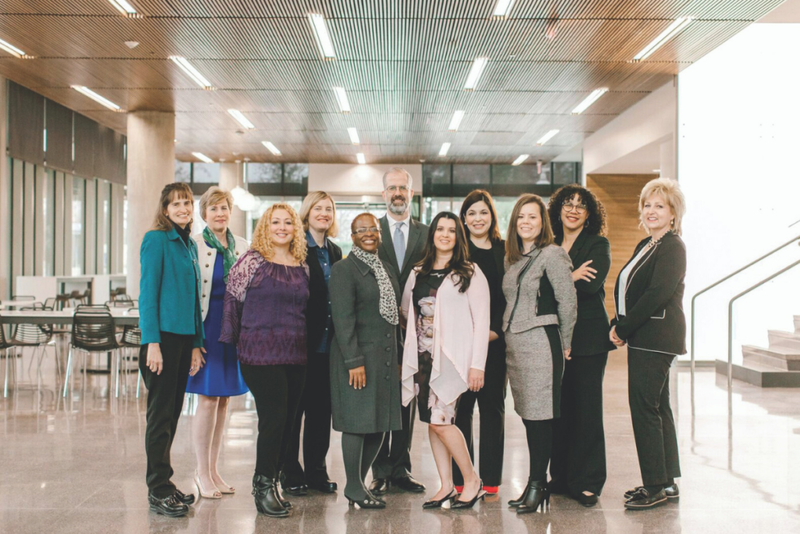 This last March, TCU and UNTHSC School of Medicine was notified by the LCME that they were granted a survey visit, which was completed in June of 2018. In October of 2018, the School of Medicine was awarded preliminary accreditation, allowing them to recruit its inaugural class. Members of this inaugural class will receive one year of their medical education provided for them by local philanthropist H. Paul Dorman. Cities are enriched by the universities they contain. A medical school is a boon to its community. Teaching hospitals offer cutting-edge medical services and technology to their community that would not be available otherwise. Financially, the School of Medicine is projected to generate $4 billion annually for Fort Worth by 2030. It is quite possible that School of Medicine’s students will return to Fort Worth after residency, settling with their families and practicing their specialties. The motto of the TCU and UNTHSC School of Medicine is “Learn, Apply, Serve.” The students of this revolutionary medical school will learn, will apply their knowledge, and will serve in their community. For the 15th-largest city in the United States which is also one of the country’s fastest growing cities, a medical school offers resources and technologies to keep us competitive. The student body will engage with and participate in the life of the city. In embracing the new School of Medicine, Fort Worth has enlarged both its infrastructure and its culture.